February 3, 1894, New York, New York, 2:00 AM, EST. (Source: personal) Died, November 8, 1978, Stockbridge, Massachusetts, USA. Norman Rockwell’s illustrations, captured the innate idealism of the American way of life. Although no doubt endowed with the fourth and seventh rays in his energy system, it is the sixth ray of Devotion and Idealism which emerges most powerfully. With reverence, realism (Moon in Capricorn) and humor, he captured the soul within the lives of ordinary people—who became, under his paintbrush, both multi-dimensional and fascinating. His Aquarian energy made him a sharp observer of human nature, and Saturn in Libra square the Moon in Capricorn—a realist. Sixth ray Mars in sixth ray Sagittarius is the orthodox ruler of his chart, making it possible for him always to sense the ideal within the real. Scorpio on the Ascendant gave him the penetrating insight of a psychologist. He is born under the Cancer decanate of Scorpio, and so his themes seem to “look backwards” with nostalgic appreciation of bygone values. From a certain perspective, his works present and enshrine all that is best and most hopeful about America—a land where (in the hopeful psyche of world humanity) dreams come true and ideals are realized. Guess I never really belonged in Westchester. I was never really happy there. But the hard-dirt farmers in Vermont-when I got with them, it was like coming home. I sure did enjoy square-dancing. That was great fun. Great exercise, too. Harder than chopping wood. You get a good caller and he'll run the legs off you. I was asked to illustrate the classics of Mark Twain. He's one of my very favorite authors. I felt great! If you look at that picture for the 1964 election, you'll see I showed three different poses of Johnson-two of them smiling, but one of them grim, just like when we walked in that room. Lord, but those eyes of his could be cold. It was a pretty rough neighborhood where I grew up. The really tough places were over around Third Avenue where it ran into the Harlem River, but we weren't far away. The '20s ended in an era of extravagance, sort of like the one we're in now. There was a big crash, but then the country picked itself up again, and we had some great years. Those were the days when America believed in itself. I was happy and proud to be painting it. The commonplaces of America are to me the richest subjects in art. Boys battling flies on vacant lots; little girls playing jacks on the front steps; old men plodding home at twilight-all thse things arouse feeling in me. Travel is like a tonic to me. It's more than just getting away from the studio for a brief rest. I need it to recharge my batteries. QUOTATION: I unconsciously decided that, even if it wasn’t an ideal world, it should be and so painted only the ideal aspects of it—pictures in which there are no drunken slatterns or self-centered mothers … only foxy grandpas who played baseball with the kids and boys who fished from logs and got up circuses in the backyard. QUOTATION: I cannot convince myself that a painting is good unless it is popular. If the public dislikes one of my Post covers, I can’t help disliking it myself. "I used to sit in the studio with a copy of the Post laid across my knees. ‘Must be two million people look at that cover,' I'd say to myself. All looking at that cover. And then I'd conjure up a picture of myself as a famous illustrator, surrounded by admiring females, and being wined and dined by the editor of the Post, Mr. George Horace Lorimer." Norman RockwellNorman Percevel Rockwell (February 3, 1894 – November 8, 1978) was a 20th century American painter. His works enjoy a broad popular appeal in the United States, where Rockwell is most famous for the cover illustrations he created for The Saturday Evening Post magazine over more than four decades. Among the best-known of Rockwell's works are Rosie the Riveter (the less-reproduced of two works generally given that title) and the Four Freedoms series. 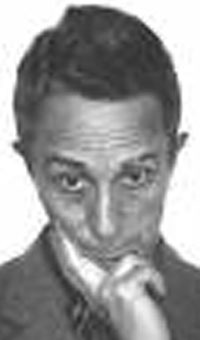 Born on February 3, 1894 in New York City to Jarvis Waring and Ann Mary (Hill) Rockwell. He had one sibling, a brother, Jarvis. 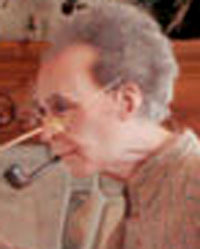 Rockwell transferred from high school to the Chase Art School at the age of 16. He then went on to the National Academy of Design, and finally, to the Art Students League, where he was taught by Thomas Fogarty and George Bridgman. Rockwell's early works were done for St. Nicholas Magazine, the Boy Scouts of America (BSA) publication Boys' Life, and other juvenile publications. Joseph Csatari carried on his legacy and style for the BSA. As a student, Rockwell was given smaller, less important jobs. His first major breakthrough came in 1912 at age 18 with his first book illustration for C.H. Claudy's Tell Me Why: Stories about Mother Nature. "Freedom of Speech".During the First World War, he tried to enlist into the U.S. Navy but was refused entry because, at 6 feet (1.83 m) tall and 140 pounds (64 kg), he was eight pounds underweight. To compensate, he spent one night gorging himself on bananas, liquids and donuts, and weighed enough to enlist the next day. However, he was given the role of a military artist and did not see any action during his tour of duty. Rockwell moved to New Rochelle, New York at age 21 and shared a studio with the cartoonist Clyde Forsythe, who worked for The Saturday Evening Post. With Forsythe's help, he submitted his first successful cover painting to the Post in 1916, Boy with Baby Carriage (published on May 20). He followed that success with Circus Barker and Strongman (published on June 3), Gramps at the Plate (August 5), Redhead Loves Hatty Perkins (September 16), People in a Theatre Balcony (October 14) and Man Playing Santa (December 9). Rockwell was published eight times total on the Post cover within the first twelve months. Norman Rockwell published 321 more covers for The Saturday Evening Post over the next 47 years. Rockwell married his first wife, Irene O'Connor, in 1916. Irene was Rockwell's model in Mother Tucking Children into Bed, published on the cover of The Literary Digest on January 19, 1921. However, the couple divorced in 1930. He quickly married schoolteacher Mary Barstow, with whom he had three children: Jarvis Waring, Thomas Rhodes and Peter Barstow. In 1939, the Rockwell family moved to Arlington, Vermont, which seemed to inspire him to paint scenes of everyday small town American life. The rear of Norman Rockwell's preserved studio.In 1943, during the Second World War, Rockwell painted the Four Freedoms series, which was completed in seven months and resulted in his losing 15 pounds. The series was inspired by a speech by Franklin D. Roosevelt, who had declared that there were four principles for universal rights: Freedom from Want, Freedom of Speech, Freedom to Worship, and Freedom from Fear. The paintings were published in 1943 by The Saturday Evening Post. The U.S. Treasury Department later promoted war bonds by exhibiting the originals in 16 cities. Rockwell himself considered "Freedom of Speech" to be the best of the four. That same year a fire in his studio destroyed numerous original paintings, costumes, and props. Later, in 1953, his wife Mary died unexpectedly, which resulted in Rockwell taking time off to grieve. It was during this break that he and his son Thomas produced his autobiography, My Adventures as an Illustrator, which was published in 1960. The Post printed excerpts from this book in eight consecutive issues, the first containing Rockwell's famous Triple Self-Portrait. 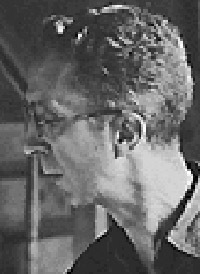 During the late 1940's, Norman Rockwell spent the winter months as artist-in-residence at Otis College of Art and Design. Students occasionally are models for his Saturday Evening Post covers. In 1949, Rockwell donates an original Post cover, "April Fool," to be raffled off in a library fund raiser. 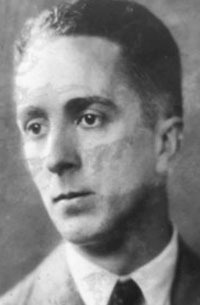 Photographic portrait of RockwellDuring his long career, he was commissioned to paint the portraits for Presidents Eisenhower, Kennedy, Johnson, and Nixon, as well as those of other world figures, including Gamal Abdel Nasser and Jawaharlal Nehru. One of his last works was a portrait of legendary singer Judy Garland in 1969. Rockwell's ability to "get the point across" in one picture, and his flair for painstaking detail made him a favorite of the advertising industry. He was also commissioned to illustrate over 40 books including the ever-popular Tom Sawyer and Huckleberry Finn. His annual contributions for the Boy Scouts' calendars (1925 – 1976), were only slightly overshadowed by his most popular of calendar works: the "Four Seasons" illustrations for Brown & Bigelow that were published for 17 years beginning in 1947 and reproduced in various styles and sizes since 1964. Illustrations for booklets, catalogs, posters (particularly movie promotions), sheet music, stamps, playing cards, and murals (including "Yankee Doodle Dandy", which was completed in 1936 for the Nassau Inn in Princeton, New Jersey) rounded out Rockwell's œuvre as an illustrator. In his later years, Rockwell began receiving more attention as a painter when he chose more serious subjects such as the series on racism for Look. Another late career painting, Shuffleton's Barber Shop is considered by many critics to be one of his masterpieces. A custodianship of 574 of his original paintings and drawings was established with Rockwell's help near his home in Stockbridge, Massachusetts, and the museum is still open today year round http://www.nrm.org. Rockwell received in 1977 the Presidential Medal of Freedom for "vivid and affectionate portraits of our country," the United States of America's highest civilian honor. Rockwell is a recipient of the Silver Buffalo Award, the highest adult award given by the Boy Scouts of America. 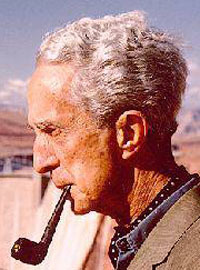 Norman Rockwell died November 8, 1978 of emphysema at age 84 in Stockbridge, Massachusetts. "The Problem We all Live with. "Norman Rockwell was very prolific, and produced over 4000 original works, most of which have been either destroyed by fire or are in permanent collections. Original magazines in mint condition that contain his work are extremely rare and can command thousands of dollars today. Many of his works appear overly sweet in modern critics' eyes, especially the Saturday Evening Post covers, which tend toward idealistic or sentimentalized portrayals of American life—this has led to the often-depreciatory adjective Rockwellesque. Consequently, Rockwell is not considered a "serious painter" by some contemporary artists, who often regard his work as bourgeois and kitsch. Writer Vladmir Nabokov scorned brilliant technique put to "banal" use, and wrote in his book Pnin: "That Dalí is really Norman Rockwell's twin brother kidnapped by gypsies in babyhood". He is called an "illustrator" instead of an artist by some critics, a designation he did not mind, as it was what he called himself. Yet, Rockwell sometimes produced iimages considered powerful and moving to anyone's eye. One example is The Problem We All Live With, which dealt with the issue of school integration. The painting depicts a young African American girl, Ruby Bridges, flanked by white federal marshals, walking to school past a wall defaced by racist graffiti. It is probably not an image that could have appeared on a magazine cover earlier in Rockwell's career, but it ranks among his best-known works today. Though many people say he was a part of the Art Deco movement he was actually commercial artist and mostly designed his pictures toward magazines and books. February 3, 1894 marked the birth of one of America’s most beloved artists, Norman Percevel Rockwell. 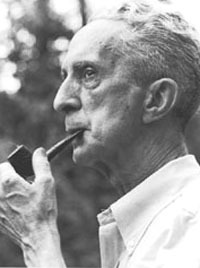 Norman Rockwell was born in his parent’s Upper West Side Manhattan apartment. The second son of businessman Jarvis Waring and Ann Mary (Hill) Rockwell, young Norman showed talent from the beginning. In fact, Rockwell remembered his first sketches as drawings of warships from the Spanish-American war. Jarvis Waring enjoyed reading various literary masterpieces aloud to his family, especially the works of classic author Charles Dickens. Young Norman would attentively listen as he sketched the characters while his father read the story aloud. Creative talent is a hard thing to repress; some say that art “flows” out of artists. Rockwell was no different. During his high school years, he studied at the Chase School of Fine and Applied Art, every Saturday and most Wednesdays. Rockwell’s love for art was steadily growing at this point and, during his sophomore year, he left high school to attend the National Academy of Design. He described the school as “stiff and scholarly,” opting to transfer to the Art Students League in 1910. Rockwell’s years at the Art Students League proved fruitful for the young painter/illustrator. At the tender age of sixteen, and still a student at the Art Students League, he painted his first commission of four Christmas cards. The following year he accepted his first real job as an artist illustrating the “Tell me Why Stories,” a series of children’s books. Shortly after that he was hired as the art director of “Boys’ Life” magazine, the official publication of the Boy Scouts of America. Rockwell continued his work with the Scouts, illustrating the official Boy Scout calendar for fifty years. 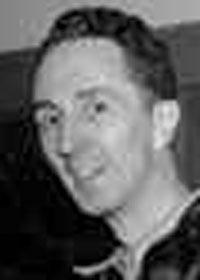 Following his success with the “Tell Me Why Series,” Rockwell moved to New Rochelle, New York and set up a studio with cartoonist Clyde Forsythe. He began freelancing his services to magazines such as “Life,” “Literary Digest” and “County Gentleman.” As his portfolio grew, so did his confidence in his artwork. In 1916 the 22 year-old Rockwell mustered up some courage and sold his first cover to "The Saturday Evening Post," perhaps the most prestigious magazine of that era. The picture was of an uncomfortable, young boy wearing a bowler hat, dressed somewhat maturely for his age and diligently pushing a baby carriage past a group of sneering boys in baseball uniforms. The artwork, entitled “Mother’s Day Off,” ran on the cover of the May 20, 1916 issue; that same year he married his first wife, teacher Irene O’Connor. Their marriage ended in 1928. Americans were extremely receptive to Rockwell’s "Saturday Evening Post" covers. In fact, Rockwell went on to create 321 covers for the Post, each portraying typical American life and values. His covers were so successful that when his art appeared on the cover, 50,000 – 75,000 additional copies of the Saturday Evening Post sold at newsstands. "The Saturday Evening Post" covers eventually became his greatest legacy. For an artist in the first half of the 20th century, Rockwell did extremely well. By the onset of World War I, he was making $40,000 per year. Remarkably his salary never went below that point, even during the Great Depression. The 1930s proved to be an amazing decade for Rockwell. In 1930 he married Mary Barstow. The couple moved to Arlington, Vermont and had three sons together: Jarvis, Thomas and Peter. In the mid-1930s Rockwell was approached to illustrate new editions of the Mark Twain classics “The Adventures of Huckleberry Finn” and “Tom Sawyer.” Always taking his work to the next level, Rockwell traveled to Hannibal, Missouri, the setting for most of Twain’s legendary novels, to depict more realistic illustrations for Twain’s fictional adventures. While there he created sketches of the city and brought home authentic regional costumes for models to wear while he painted his illustrations. Through the years, Rockwell’s renditions of Americana appeared all over the world. During World War II he painted his widely-loved series the “Four Freedoms” as his personal contribution to the war effort. The patriotic paintings symbolized the war aims President Roosevelt set forth. The “Four Freedoms” were reproduced in four consecutive issues of “The Saturday Evening Post” alongside essays by contemporary American writers. “Freedom of Speech,” “Freedom to Worship,” “Freedom from Want” and “Freedom from Fear” were so successful that the works toured in an exhibition that raised $139.9 million for the war effort through the sales of war bonds. In 1953 the Rockwell family relocated to Stockbridge, Massachusetts where Mary was treated at the Austen Riggs Center for her declining health. Six years after the move, Mary died unexpectedly. In 1960 Rockwell, with the help of his son Thomas, published his autobiography “My Adventures as an Illustrator.” The book proved to be a success, with excerpts carried in eight consecutive “Saturday Evening Post” issues. In 1961 Rockwell married Mary L. “Molly” Punderson and continued to live in Stockbridge and create his now nostalgic masterpieces. In 1963, after 47 years at "The Saturday Evening Post," Rockwell parted ways with the magazine. He went to work for "Look" magazine almost immediately. There he was able to express his deepest concerns and interests, such as civil rights and the war on poverty. Bernard Dannenberg Galleries of New York City organized a retrospective show of Rockwell’s work in 1971. The artist went on to establish a trust to protect his personal collection of paintings in 1972. He placed his works in the Old Corner House Stockbridge Historical Society, which later became the Norman Rockwell Museum in a dedication ceremony on February 3, 1994, the 100th anniversary of Rockwell’s birth. On November 8, 1978 Norman Rockwell died in his Stockbridge home at the age of 84, leaving an unfinished painting on his easel. His now nostalgic paintings and illustrations continue to live on in American history, depicting decades of pleasantry and pain. A second edition of his autobiography was published in 1988, with new material from Tom Rockwell, covering the final 20 years of his father’s life. Norman Rockwell's ability to relate to the values and events of an evolving society made him a hero, a visionary and a friend, not only to Americans but also to individuals all over the globe. In his own words, "Without thinking too much about it in specific terms, I was showing the America I knew and observed to others who might not have noticed."